The SnowSport Plow 2" front receiver hitch mount is a high quality solution to your snowplow and accessory mounting needs. 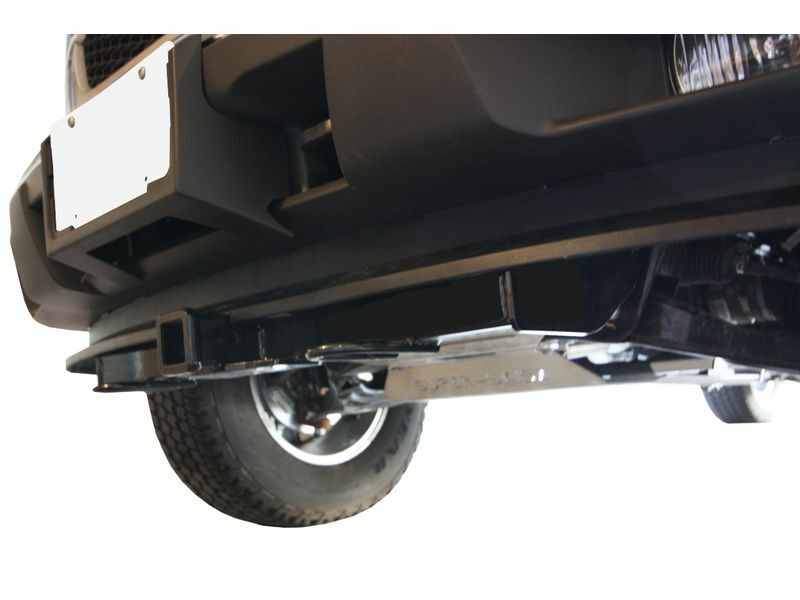 It enables fast and convenient mounting and removal of your plow on the front of your vehicle, and has been extensively stress tested to ensure its durability. Thanks to its quality construction, you know the SnowSport Plow 2" front receiver hitch mount won't give up or fail when faced with a tough job. Getting your SnowSport Plow 2" front receiver hitch mount installed is a snap. The time it takes may vary depending on your vehicle, but for most, it should be under an hour. Once it's securely installed, you'll be able to mount and unhitch your plow or other hitch-mounted accessories with ease. The SnowSport Plow 2" front receiver hitch mount sports an appealing black finish and has been 1000 hour salt spray tested. It's also backed up by a lifetime warranty from its manufacturer and will not easily corrode. Order yours with free shipping today! Your SnowSport receiver hitch mount can be mounted on truck right at home in your own garage. Most vehicle require no drilling but if your mount requires drilling, rest easy since it will be very minor and easy to accomplish. SnowSport includes simple and easy to follow instructions. For additional information or if you have any other questions, please feel free to give us a call toll free at 1-877-216-5446 or 701-253-5906.